Cherry Chilei Liu, a 50-year-old Asian woman, was fatally shot on Wednesday, Aug. 1, in the 800 block of Sunset Boulevard in Arcadia, according to Los Angeles County coroner’s records. Liu had left her apartment about 8 a.m. and was walking downstairs to her car when her estranged husband began shooting at her from a hiding place, according to Los Angeles County Sheriff’s Lt. Derrick Alfred. Liu was pronounced dead at the scene at 8:58 a.m., according to coroner’s records. The cause of death was listed as multiple gunshot wounds. Her estranged husband, Mel Liu, a 49-year-old Asian, was taken to the hospital where he was pronounced dead at 10:44 a.m., according to coroner’s records. The couple had been estranged for a couple of years, Alfred said, and shared custody of their 14-year-old son, who was at school at the time of the shooting. Cherry Liu’s divorce may have been contentious, but she never brought her problems to work at the city of Sierra Madre, said colleague Laura Aguilar, assistant city clerk. As the community senior specialist, Liu was in charge of organizing trips for seniors, scheduling lunches and putting together activities and programs, Aguilar said, She brought in tax advisors at tax time and recruited attorneys to talk about trusts and wills. “She even coordinated with high schools to have kids come in and show the seniors how to use their iPhones and other technology, and helped seniors set up an email so they could communicate with their grandkids,” Aguilar said. City managers brought grief counselors into the office as soon as they heard about Liu’s death, Aguilar said. “I was actually surprised by how many staff met with counselors that day,” Aguilar said. “It just shows how much her loss affected so many people. We’ve had a lot of people reach out to the city, saying ‘Cherry was my go-to person whenever I needed anything.’… Both seniors and city staff are taking her death very hard." 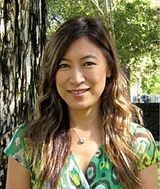 Cherry Liu began working for Sierra Madre Community Services in September 2014, according to her city biography. Prior to that, she worked part-time as the office manager for the Arcadia Chamber of Commerce. She graduated from Cal Poly Pomona with a bachelor's degree in hotel and restaurant management, and listed her spare-time activities as "watching baseball games, exercising and spending time with her family."